In January 2018, Urine Drug Monitoring Consensus Guidelines were released to include recommendations for prescribers and other healthcare clinicians regarding urine drug monitoring for patients prescribed long-term opioid therapies. Below we summarize the panel’s suggestions and review urine drug monitoring technologies. Here to summarize the new consensus guidelines are two students of Dr. Jacqueline Cleary. Dr. Cleary is an assistant faculty member at Albany College of Pharmacy and Health Sciences, and adjunct faculty member at SAGE Colleges of Nursing. Dr. Cleary precepts pharmacy students at her ambulatory care practice site at a federally qualified health center in Schenectady, NY. And, we are therefore fortunate to have their participation here and to offer an educational opportunity for them and our readers at the same time! As they say, “urine luck”! 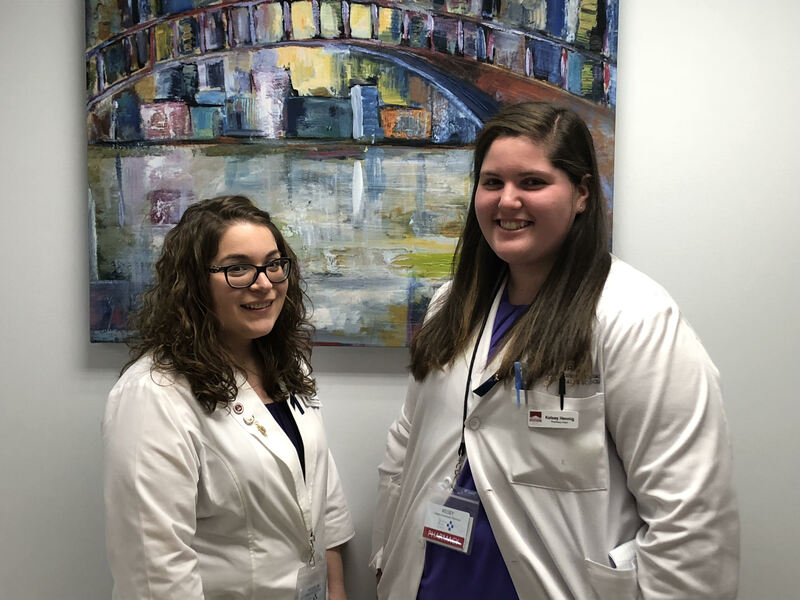 This post was developed by PharmD Candidates Jacquelyn Turturo and Kelsey Hennig under the editorial direction of Dr. Cleary. Throughout the opioid epidemic, it has become increasingly apparent that there are many unintended consequences of therapy with opioids, including and leading up to potential patient morbidity and mortality. Moreover, many innocent patients have been falsely accused of not taking their prescribed drug or taking a drug that was not prescribed; clinicians plus various laboratories have been blamed for over-ordering urine screens; and patients and clinicians have been caught in a crossfire between anti-opioid political activists, developing new regulations around opioid monitoring, and an overabundance of misinformed politicians and inadequate pain education within schools of medicine, pharmacy, nursing, and various other prescribers such as dentists, podiatrists, and the like. Though there are multiple techniques for assessing drug use in patients at risk for misuse or abuse of these medications, we will focus on urine drug monitoring (UDM) due to its convenience and utility in the clinical setting. Ultimately, the goal of UDM is to provide health care professionals with a tool to help improve the safety of opioid therapy through adherence monitoring. UDM can help clinicians answer questions such as: Is my patient taking other prescription or illicit drugs that might increase their risk for adverse events? Is my patient compliant with their current regimen? In the following paragraphs we will discuss the panel’s guiding questions and recommendations. The panel formulated recommendations in response to three key questions surrounding appropriate UDM in patients on opioid therapy with chronic pain. The panel presented their recommendation of definitive testing, which utilizes chromatography, as the “most accurate method” for baseline and ongoing monitoring of opioid therapy. The consensus supports clinician’s use of presumptive testing when the practicing institution or payer policies mandate its use prior to definitive testing. Presumptive UDM uses immunoassays and although it is an inexpensive means to monitoring, it has variable sensitivity and specificity. In disagreement with current opioid prescribing guidelines, which favor presumptive testing first line, the panel recommends use of definitive testing due to its increased sensitivity and specificity as well as its ability to detect a greater array of drugs and their metabolites. Although definitive UDM (e.g. gas chromatography-mass spectrometry and liquid chromatography-tandem mass spectrometry) are more expensive, they are less likely to be influenced by adulterants. Table 1 for provides a brief summation comparing presumptive and definitive UDM. In an effort to limit the monetary expenditure associated with definitive UDM, the panel emphasized that clinicians should limit such testing to the most probable substances suspected for that patient. Readers are directed to relevant national surveys that pinpoint the most likely abused substances in unique general practice locations and encourages the addition of extraneous substances including alcohol, all based on their potential for patient harm. Specifically, ethyl glucuronide is recommended when including urine alcohol monitoring. To understand patients’ risk of opioid misuse, the panel recommended conducting a physical exam, checking the appropriate prescription drug monitoring program (PDMP), and using a validated risk assessment tool. Clinicians should examine patients and gather pertinent information to help identify patients who have a past history or diagnoses and behaviors that predict opioid misuse or opioid use disorder. To augment the information supplied by the patient, clinicians should access previous drug monitoring results and the appropriate PDMP. There are many validated tools available to aid in categorizing a patient’s risk and the panel makes no specific recommendations for one tool over another; however, it is essential that clinicians be familiar with the specific risk factors involved. Common risk factors include history of substance or tobacco use, history of preadolescent sexual abuse, psychiatric history, demographic factors, self-reported craving, and family history of substance use disorders. Clinicians should regularly evaluate a patient’s risk factors as a patient’s risk can change based on their current life events. In response to this question, the panel detailed their recommendations regarding the frequency of UDM for patients based upon their stratified risk category. For all patients, the panel recommends baseline UDM prior to beginning opioid therapy. If the presenting patient has been on chronic opioids previously prescribed by another clinician and is new to the current practice, it is recommended to complete UDM within 3 months of their first patient encounter. For low risk patients, the panel recommends adherence to yearly UDM. They conclude that at least yearly monitoring is necessary for even low risk patients due to fluctuation in patient’s risk factors over time. They propose that it may be acceptable for patients of particularly low risk (patients on low-dose, as needed opioids) to require UDM even less frequently. Moderate-risk patients are recommended to receive UDM at least 2 or more times a year in contrast to high risk patients who are recommended to have UDM three or more times a year. The panel further recommends as needed UDM per clinician judgement. These recommendations partly stem from a study by Yee and colleagues that concluded a correlation between opioid adherence and frequent UDM. One pitfall identified by the panel was that a trend was identified that patients who received a positive UDM for illicit substances had poorer likelihood to attend future visits. addressing the three key questions, the panel turned their attention to the procedural details of UDM. Before acquiring a urine sample, the panel reminds clinicians to document the last time the patient reports ingesting the medication(s) being tested. The panel recommends that the clinician ask the patient “If we test you today, what will we find in your urine? Will there be any surprises?” in order to keep open communication with the patient. The panel includes possible signs of tampering with the sample which are summarized in Table 2. Specifically for alcohol screening, the panel recommended use of Single-Item Screening Questions (“How many times in the past year have you had 5 or more drinks [men] or 4 or more drinks [women] in one day?”). To monitor cannabis use, they refer the reader to local, state, and practice-specific regulations. The consensus further emphasized that negative UDM results cannot differentiate between decreased need for medication, altered urine, or overuse and running out of medication. UDM can help clinicians guide patients in establishing a safe and effective chronic pain management regimen. Although definitive testing is more costly than presumptive testing, it offers a greater ability to detect metabolites without the interference of other substances. To determine the appropriate UDM regimen, patient’s risk factors for opioid misuse and opioid use disorder should be regularly assessed. Based on those assessments and the stratification of a patient’s risk into categories low, medium, or high, a reasonable screening regimen can be selected and discussed with each individual. In discussing UDM with patients, it is important to remember to lead with a non-judgmental tone and to reinforce that the goal of UDM is to ensure the safety and efficacy of opioid therapy. Discussions between clinicians and patients should not be confrontational, but instead should be a partnership of mutual trust to foster open dialogue that may avert a disaster for patients and clinicians. As always. comments are welcome! Jacquelyn Turturo is a 2018 PharmD Candidate at Albany College of Pharmacy and Health Sciences. She just completed an advanced practice rotation with the multidisciplinary team at Hometown Health Center in Schenectady, NY under the mentorship of Dr. Jacqueline Cleary. After graduation, she plans to continue her career as a community pharmacist in the central New York region. Kelsey Hennig is a 2018 PharmD Candidate at Albany College of Pharmacy and Health Sciences. She just completed an advanced practice rotation with the multidisciplinary team at Hometown Health Center in Schenectady, NY under the mentorship of Dr. Jacqueline Cleary. After graduation, she plans to pursue post-graduate education. Argoff CE, Alford DP, Fudin J et al. Rational Urine Drug Monitoring in Patients Receiving Opioids for Chronic Pain: Consensus Recommendations. Pain Medicine. 2018; 19:97-117. Gudin JA, Mogali S, Jones JD, Comer SD. Risks, management, and monitoring of combination opioid, benzodiazepines, and/or alcohol use. Postgrad Med 2013;125(4):115–30. American Society of Addiction Medicine. Drug testing: A white paper of the American Society of Addiction Medicine (ASAM). 2013. Available at: http://www.asam.org/docs/default-source/publicpolicy-statements/drug-testing-a-white-paper-byasam.pdf (accessed July 2016). Turk DC, Swanson KS, Gatchel RJ. Predicting opioid misuse by chronic pain patients: A systematic review and literature synthesis. Clin J Pain 2008;24(6):497–508. Yee DA, Hughes MM, Guo AY, et al. Observation of improved adherence with frequent urine drug testing in patients with pain. J Opioid Manag 2014; 10(2):111–8. Smith PC, Schmidt SM, Allensworth-Davies D, Saitz R. Primary care validation of a single question alcohol screening test. J Gen Intern Med 2009;24(7):783–8. Krishnamurthy P, Ranganathan G, Williams C, Doulatram G. Impact of urine drug screening on no shows and dropouts among chronic pain patients: A propensity-matched cohort study. Pain Physician 2016;19:89–100. I have a brain / nerve disease. My medications were changed constantly. I was put on high doses of opiates and continually asked for a lower dose but the doctor denied saying I needed the higher mg.One week I fell down a pair of steps due to being impaired by the higher dose. I called the doctor, he never called me back. My spouse called over and over again before closing hours…. the doctor did not call back. The medication was clearly too strong. My spouse emailed and texted the doctor and we waited until midnight that night and had no response. Since I had a stroke 9 months prior, my spouse handles all of my medications and decided to revert back to my 5mg. of my original medication that this doctor prescribed the week previously, so I would stop vomiting and falling. I went to see the doctor on my next visit ( 3 days later) and reminded him that I did not get a response from his office regarding my fall. The doctor released me saying I failed my urine test and was not allowed to self medicated even though he was the one that prescribed me the lower mg. opiate He left me with no medications and looking for a new clinic….. I have been on medications for 7 years and will go through withdrawals but he said it was all my fault!? Very nice article. Thank you. This is a difficult subject. I believe one problem with policies regarding how often (and how) to check our patients’ body parts for the presence of drugs is the subjective nature of establishing risk levels. One clinician’s “low risk” patient might be his colleague’s “high risk” patient. The entire nature of determining risk level is variable. I am not in favor hard and fast rules on drug testing that are likely to be interpreted as standards of care. The evidence is simply not definitive. This causes confusion. Just look at how much anxiety everyone has with the 2016 CDC prescribing guideline, in large part because it is based on less than strong evidence, and yet is now being shoved down our throats by regulators and politicians as the “gold” standard of care. I’d rather we look at drug testing as a tool that is best used by providers in the manner that he or she finds most useful, i.e., my patient may NEVER need a drug screen if other monitoring measures in place and outcomes are good. Or, by contrast, I may want to get a patient drug tested every three days for a time being. A once per year drug screen in a low risk patient has about a 1/365 chance of providing useful information – it only tells you what might be going on at that particular time. By comparison, the “threat” of getting a random drug screen at ANY time, probably provides better boundaries for patients. Dr. Murphy; Thank you for your comments. You make very valid points, and this is why they are suggested guidelines. To your point, we were careful to state in the conclusions that “The recommendations in this consensus report are meant to provide practical advice on implementing rational UDM across a broad range of clinical practices in a patientcentric manner.” Can you just imagine what would happen if the CDC implemented urine screen guidelines? Help!!! For six years, I have been urine screened every two months for the ONE opioid medication or other substance found and Have never” failed” a urine screening. For the previous 14 years, to the last six years, I was at TOTAL random called to go the the pain management facility and give a specimen, within 15 minutes ( I could becauseI was self employed) of the call to ,me or I would be DISMISSED from pain management, opioid therapy, and I NEVER failed an effing test for the last……..23 years. WHEN does the providing doctor realize that the patient is using opiod medication for ONLY pain management? I understand that situations change and a [atient “could go “rogue” at any time BUT, I believe opiod prescribing physicians as well as ANY effing physicians upon a appointment can realize a potential situation for an opiod medication therapy patient to “have a potential” abusive or illicit substance temptaion.